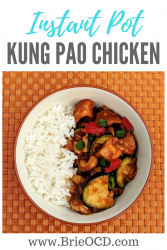 This Kung Pao chicken recipe is sure to satisfy that Chinese craving! 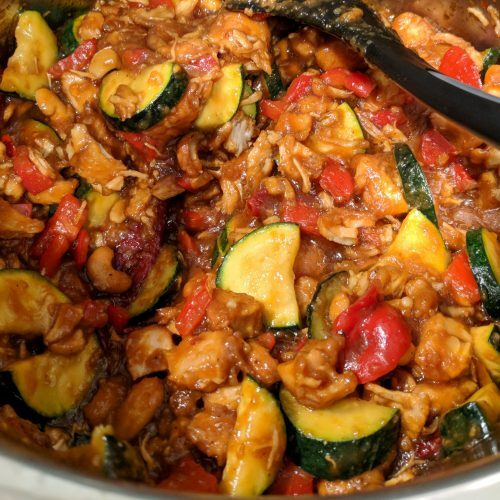 It is filled with chicken, veggies and cashews, giving you your fill of protein, veggies and healthy fats. I have been obsessed with the Instant Pot lately and this recipe did not disappoint! I saute my veggies on the stove-top for 4 minutes because I don’t like them to get mushy. Remember you will saute them again directly in the Instant Pot when you mix everything together so they will get more tender over time. I also love the cashews in this recipe because it gives you that additional crunch. I buy my nuts at Trader Joe’s because they are the cheapest (and freshest) I have found. Costco doesn’t have as many varieties and the bags are ginormous. I bought the dried red chili peppers at the international store. I didn’t want to overpower the dish with too much spice so I bought entry level (photo below). If you love spicy buy hot dried chili peppers and really get that PAO! If you cannot find dried red chili peppers, you can simply add more dried red pepper flakes. As with many Chinese dishes the sodium content can escalate pretty quickly on this recipe. If you are watching your intake, I suggest splitting the cup of low sodium soy sauce with balsamic vinegar. Use 1/2 cup soy sauce and 1/2 cup balsamic vinegar OR substitute 1 cup Soy Sauce with Coconut Aminos (I am going to do this next time!). This recipe was inspired by the Recipe Critic’s crock-pot recipe! Click here for crock-pot instructions. 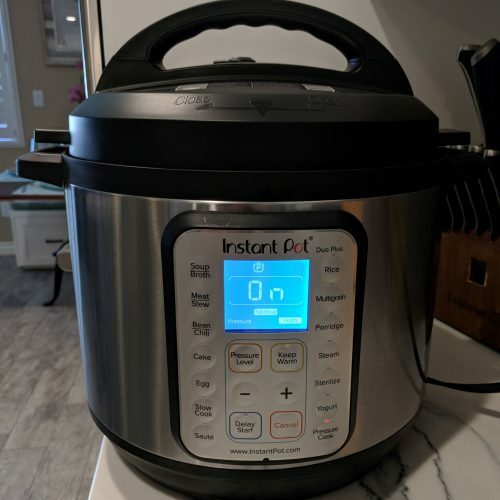 I used the instant pot to make this recipe quick and easy but you can also use the crock-pot if you want to set it and forget it! 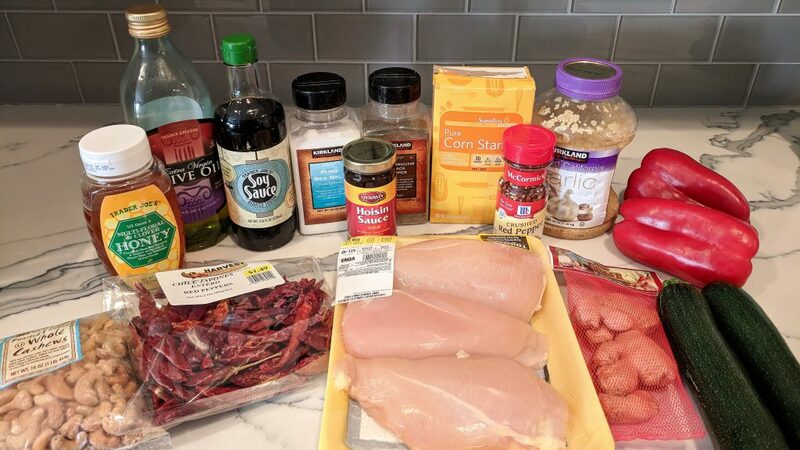 If using the crock-pot, I would still follow my measurements and substitutions from my recipe below but just throw everything in the crock-pot instead. 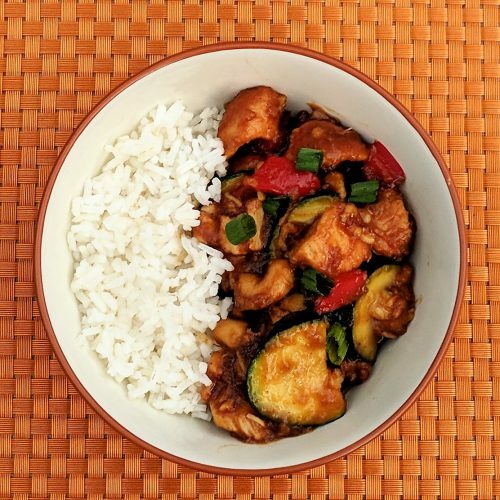 This recipe can easily be made gluten-free by using gluten free hoisin sauce and gluten-free soy sauce. I serve this with white rice but you could also serve with quinoa or your gluten-free starch of choice. Easy Asian Classic in the Instant Pot OR Crock-Pot! 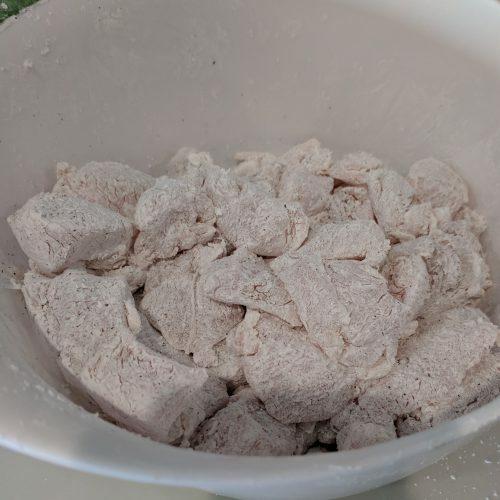 in a medium mixing bowl, toss diced chicken in cornstarch, salt and pepper until well coated. 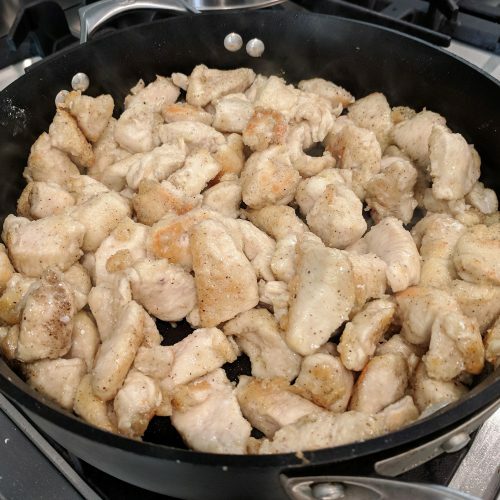 over medium high heat, heat 1 tbsp olive oil and saute chicken for about 8 minutes until golden brown. 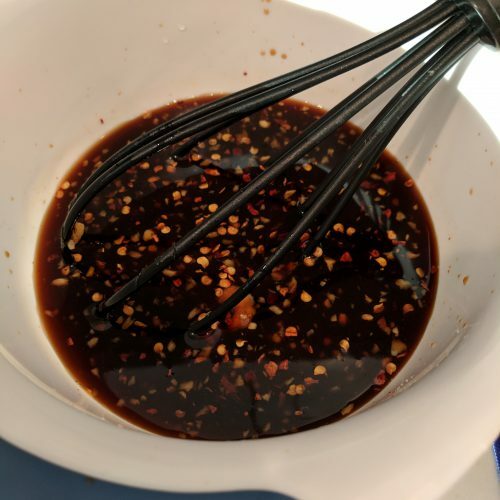 while chicken is sauteing, in a small mixing bowl, make the sauce by whisking soy sauce, balsamic, water, honey, hoisin, garlic, ginger and red pepper chili flakes. 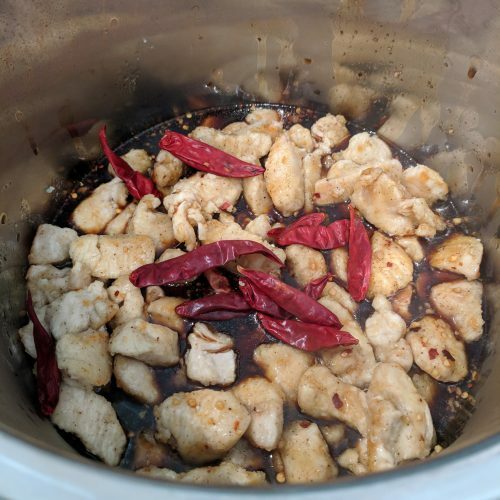 place chicken in Instant Pot and add sauce and dried red chili peppers. close lid and set for 5 minutes high pressure. (make sure knob on lid is set to sealing). If making rice or quinoa, make now according to pkg instructions. while chicken mixture is cooking, cube bell peppers & slice zucchini. Over med-high heat, heat 1 tbsp olive oil for about 30 seconds. 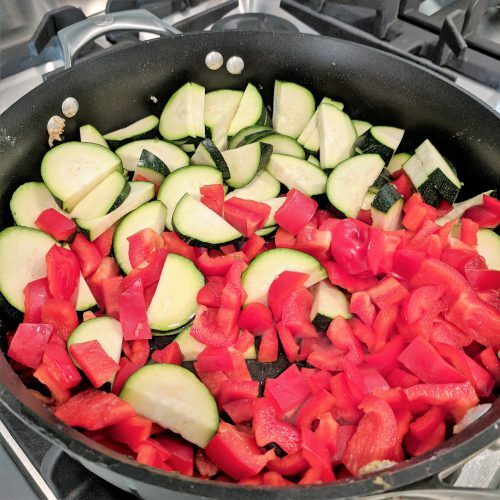 Add peppers and zucchini and saute for about 4 minutes. while chicken mixture is cooking, make cornstarch slurry by mixing together ingredients in a small mixing bowl. whisk to mix. 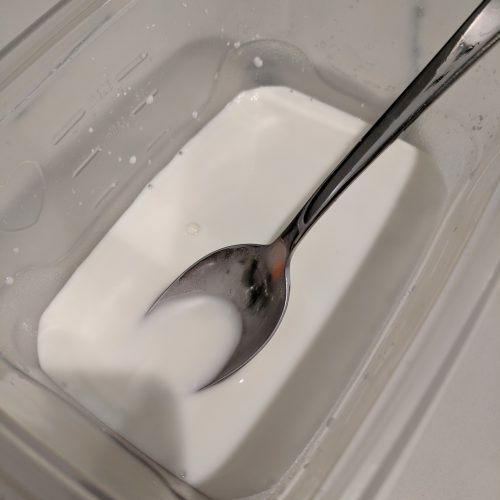 when natural release period is over, select saute function on low. add cornstarch slurry, pepper/zucchini, cashews and stir gently. saute for 3-5minutes, stirring gently while sauce thickens. turn IP off. serve with white rice, quinoa or your grain of choice. top with sliced green onions and enjoy! Gluten- Free - use Tamari instead of soy sauce and gluten-free Hoisin sauce.